One of my favorite stories is about Jeanne Calment, the woman with the longest confirmed lifespan. She lived in France until the age of 122. In 1988 she was interviewed about meeting Vincent van Gogh in her uncle’s art shop 100 years earlier as a 13-year-old! The part about her story I particularly enjoy is how she credited much of her longevity to her routine of simply doing what she enjoyed. She had a leisurely lifestyle of fencing, playing tennis, swimming, and playing piano (shouldn’t we all be so lucky?!). She would put olive oil on her skin and she treated herself to wine, chocolate, and two cigarettes daily. Granted, much of Calment’s lifestyle was attributed to her marrying into a wealthy family and never having to work. She basically got to live a retired lifestyle her whole life, but her pursuit of simple pleasures and pastimes reminds me of conversations I have with many of my clients. I enjoy hearing about growing families, longtime and new hobbies, and plans culminating. In other words, I enjoy hearing about people enjoying themselves! After being an advisor at The Retirement Planning Group for six years now and recently learning that my Mom has cancer, I realize more and more the importance of living for life’s simple enjoyments and making them happen. One of the greatest parts of working with people on their financial goals and retirement plans is seeing the elective aspects of their plans come to fruition. For some it’s spending more time with family, being a more involved parent or grandparent, giving back to others, or traveling to see new places and have new experiences. Of course, traveling can be defined in a number of ways—going camping in seclusion, road tripping via any number of preferred methods of transportation, visiting out-of-town family, taking in a new city and customs, or even experiencing new countries and cultures. 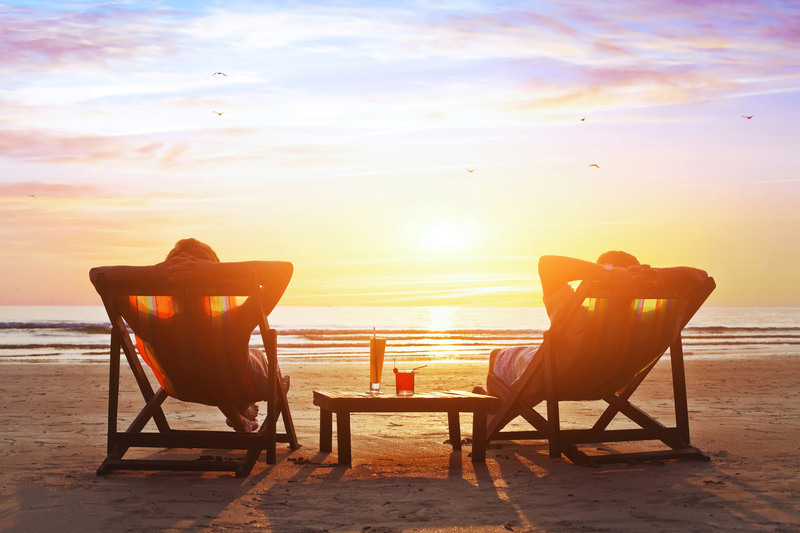 For many people, traveling plays an important role in their lives and retirement plans. That is why we scheduled our value-added “Traveling with Ease” seminar (rescheduled for June 14th due to inclement weather). This educational event will feature a travel agent sharing some of her insight about travel planning, trip types, and ways to save money while adventuring. It will also feature an estate planning attorney talking about the importance of having your legacy affairs in order before embarking on such traveling adventures. For me, the fun part comes from seeing clients living out the retirement dreams they worked so hard for, whether in photos or hearing about their experiences firsthand. I think the old adage “tomorrow is promised to no one” emphasizes the importance of simply doing what one enjoys. I don’t think Jeanne Calment would have argued against that. This entry was posted in Blog by Paul Dreher. Bookmark the permalink.